Recently I’ve seen a lot of explosion over the Evans/Renner interview*, and I was trying not to get involved. I think I’ve made it sufficiently clear that Chris Evans is my dream man, and honestly, I didn’t want anything to tarnish that. After seeing the headline on several Facebook visits, I finally caved and read the article. It basically said that Renner and Evans were sexist and saying horrible things about Scarlett Johansson’s character. This seemed incredibly out of character based on other interviews. Because the article struck me as odd, I watched the interview. My conclusion? Straight up sarcasm. The interviewer’s question was stupid; they responded in kind. Granted, they could’ve selected better language, but the intent really wasn’t how it was perceived. They obviously didn’t mean what they were saying and I, as a female, was not offended by it, nor did I view it as sexism. Their apologies, which were issued shortly after this whole debacle, also back up the fact that they weren’t meant seriously, which might not be considered a quality excuse to a lot of fans, but there are things to be offended by and there are things to let go. This is something to let go. I, in no way, claim to be the spokesperson for all females and I know this sort of thing is up to interpretation. I just think it’s sad that people who have been known to be so blatantly irritated by sexism in interviews are getting such grief for something so small. This is obviously my personal opinion, and I have no intention of getting into a debate with anyone about what is or is not sexism. In the grand scheme of superhero things, this is not a big deal. There are far worse sexist superhero happenings to get upset about. *Renner’s negative attitude toward the prosthetic leg isn’t okay, but I didn’t want to focus on anything but how they were viewed as sexist. Tags: age of ultron, avengers, avengers interview, black widow, chris evans, jeremy renner | Permalink. OTGW is too real to be just for kids, and it’s quite possibly too real for kids. This show is a little bit terrifying. That one episode with the turtles…man. That kind of messed me up. The artwork is incredible, the writing is hilarious, and the creepiness level is so high. If you’re a tiny baby of a person like I am, you should probably watch it with the lights on. Notable voice actors: Christopher Lloyd, Elijah Wood, John Cleese, Tim Curry, Thomas Lennon, Shannyn Sossamon. This show is so important. Among many other real life issues, AT deals with PTSD, puberty and growing up, abandonment, dealing with physical disabilities, and it promotes gender equality, justice, honesty, and friendship. Tags: adventure time, alex hirsch, andy samberg, cartoon network, cartoons, christopher lloyd, donald glover, elijah wood, gravity falls, john cleese, kristen schaal, nathan fillion, neil patrick harris, nick offerman, over the garden wall, thomas lennon, tim curry | Permalink. I, as well as many other enthusiastic fans who also run blogs, could go on for days about why Parks and Recreation is one of the best shows. I’ve come up with a list of a few of the most important reasons, I think, that everyone should watch it (even though it just finished its final season last night). Even if you missed it while it was running, you can still catch it online, on Netflix or in syndication. WARNING: while this post does not contain any finale spoilers, it does contain spoilers for later seasons if you are just starting the show. Nothing too huge; just things like finding out who ends up with whom. In light of the recent success of both the book and movie versions of 50 Shades of Grey, I think this reason speaks for itself. What’s that? You want examples? Gosh, I guess I can give you some quality examples. Ben and Leslie are probably the best television couple ever. Period. Done. End of story. They support each other, they put each other first before their own personal needs, they are encouraging, honest and help each other grow. There is no manipulation. They are emotionally supportive, physically attracted and very well balanced. As far as fictional relationships go, their is the best I think I’ve ever seen. Unlike Ben and Leslie, Ann and Chris have had quite a few rough patches. However, because they were able to grow as individuals (note how relevant the next reason [Character Development] is), eventually, they are able to have a very successful and supportive relationship because they understand their differences and needs and adapt as needed. While not typical, these are still very healthy, positive relationships, that we don’t necessarily expect to work out or fully understand. They’re all supportive, understanding and loving toward their partners. It’s really refreshing to see. Over the course of seven seasons, the characters have grown exponentially from season to season. Take Leslie for example. She grows from being this bright eyed, enthusiastic, impulsive go-getter to being a grounded political powerhouse. Each character grows in very specific ways. They all go through hard times and handle their own issues. 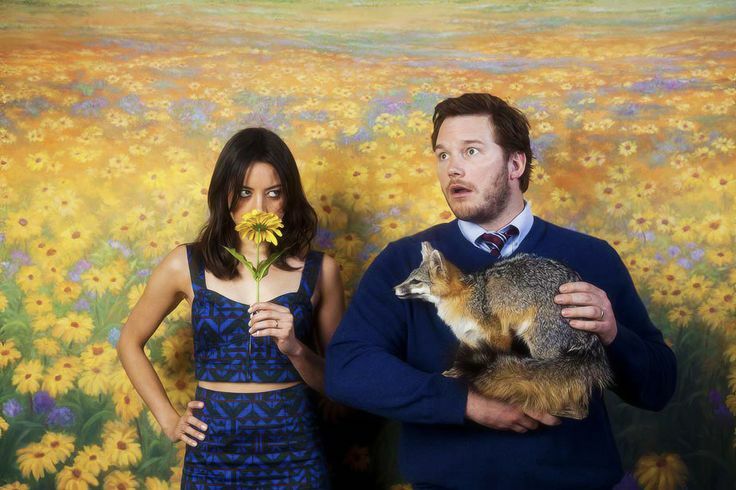 Remember that one time Andy Dwyer, loveable puppy-like Andy Dwyer, dealt with depression? That was an incredible and encouraging statement about mental health, and about how it’s important to take care of yourself and how these challenges can affect ANYONE. If you’ve met people, which I’m sure you have, you know that people tend to disagree about things – ESPECIALLY POLITICS. In Parks you have people like Leslie being friends with people like Ron. Seeing people with such different views still caring about each other and not getting weighed down by political viewpoints is so unusual. Typically, in the media, if you feel a way that’s different from the main character, you’re labeled a moron and nobody takes you seriously. The amount of wisdom that comes out of Ron Swanson’s mouth on this show is incredible. I love that they made all of the characters be their own, rather than be copies of Leslie, or exact opposites. Lots of views are represented, and all are taken seriously. When I was younger, I somehow learned that I was in competition with other females. I don’t really know where I learned that or why, but it just sort of plopped into my head and stayed there until I was in my 20s. There’s no reason for women to be pitted against each other. 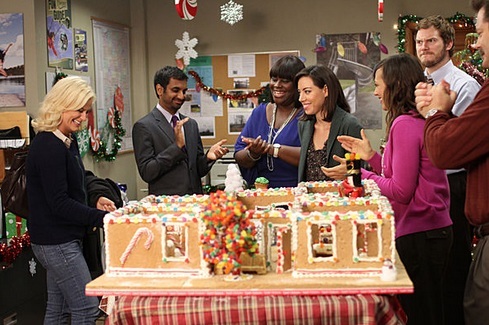 Parks and Rec has some of the most positive portrayals of women interacting with other women on TV. Leslie and Ann, April and Leslie, Donna being Donna – all of this is awesome. Women have roles of leadership, women become government officials, Donna and Leslie preach so much body positivity, and April is never talked down to because she’s younger. MAN that’s refreshing. To appeal to such a wide age range, and encourage people of all ages to follow their dreams – that is phenomenal. As a political show, it’s obvious a lot of the humor would come from poking fun at real political issues. I’m not going to say much about this, I’m just going to link you guys to a clip from one of the more recent episodes which laid down the law on the current issue of Men’s Rights vs Women’s Rights. I think I’ve given examples of this all the way through this post, but this show encourages people in so many ways. Leslie is a go-getter, like I said, and she follows her dreams. People are against her almost every step of the way, and she falls down a lot on her journey, but she always manages to get back up. Friendship, love, support, encouragement, being true to yourself, not giving up on people – this show really takes the cake. If you don’t watch it, I don’t understand you. Watching the finale was really intense. I’m kind of heartbroken to not get to peek into the lives of April, Andy, Ron, Craig, Leslie, Ben, Donna, Garry, Tom, Chris and Ann anymore. 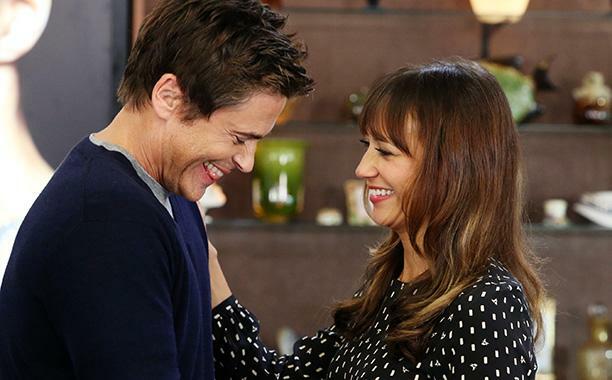 The end of Parks and Rec also marks the end of NBC’s comedies. Most of you know how I feel about NBC (it’s garbage), and I’m not really sure what their plan is for programming. All I know is I used to almost exclusively watch NBC, now I primarily watch Fox. So, thanks Fox for having some great comedies. Parks and Recreation, I’ll miss you in the saddest fashion. You’re 5,000 candles in the wind. Tags: adam scott, amy poehler, andy dwyer, april ludgate, april ludgate-dwyer, aubrey plaza, aziz ansari, ben wyatt, bye bye lil sebastian, chris pratt, donna meagle, garry gergich, jim o'heir, leslie knope, lil sebastian, nick offerman, parks and rec, parks and recreation, retta, ron swanson, tom haverford | Permalink. I’ve been torn about writing this post. As of a few months ago, I started including a link to this blog in some of my job applications. It’s very clearly a personal blog, not a professional blog, which is fine. But, you know, there’s probably a line of weirdness that is unwritten and also, unfortunately, unbeknownst to me, that I am about to cross by posting this. Maybe someday I will learn, but today is not that day. 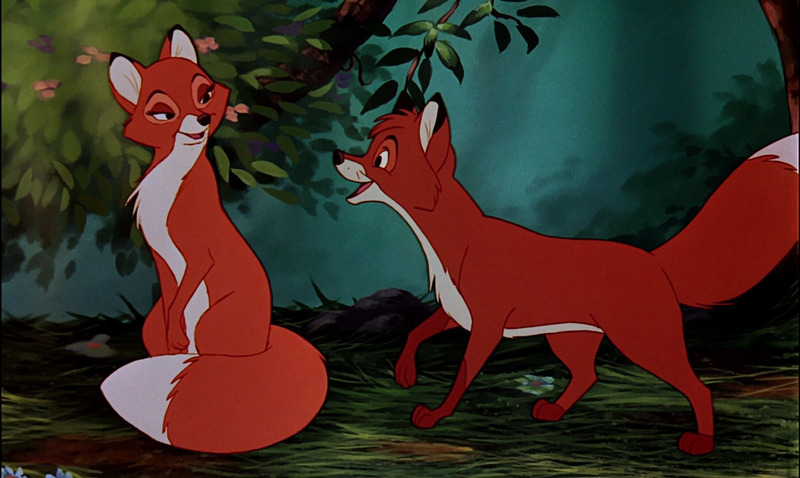 That being said, here is a list of animated Disney animals (with human attributes. This isn’t Buzzfeed. Ain’t no Meeko on my list.) who would be completely and extremely attractive were they human. Honorable mentions: Tramp from Lady and the Tramp; Dodger from Oliver and Company; Basil from The Great Mouse Detective. I feel like a lot of his attractiveness level is due to his human counterpart, Roger, being an animated version of my dream guy. 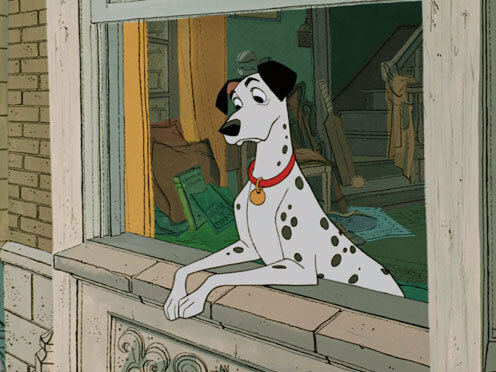 They patterned Pongo after Roger who is hopefully patterned after a real-life individual around my age that I will meet sometime soon. It’s just one of those things. Foreign guys who are outdoor-savvy. Tod is such a cute, innocent, typically forgotten character. He was voiced by Mickey Rooney which kind of blows my mind and weirds me out. 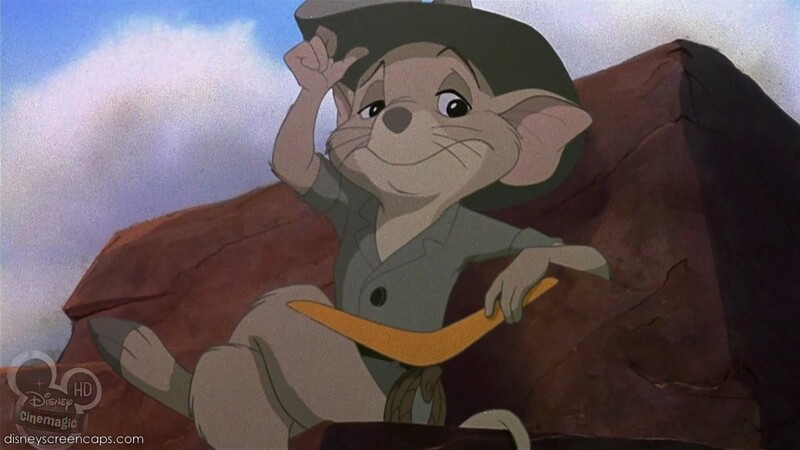 But Mickey Rooney aside, Tod is a winner. 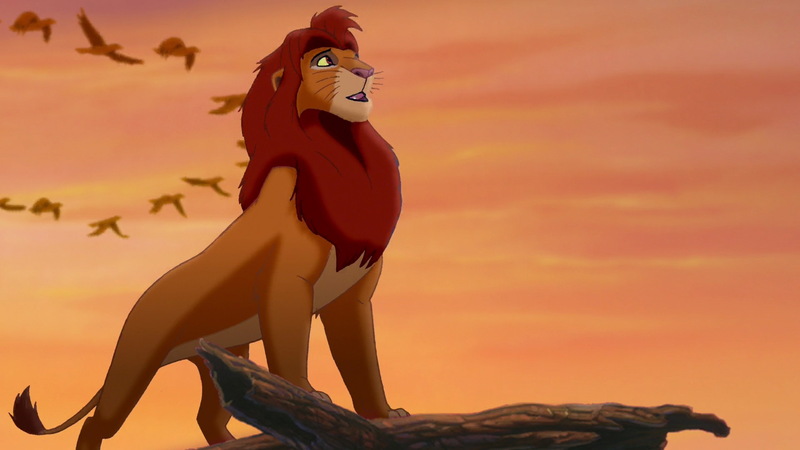 Okay, there’s a very specific time where Simba is no longer a child, and not quite yet an old adult that he is the MOST attractive. That is College-Aged-Simba. 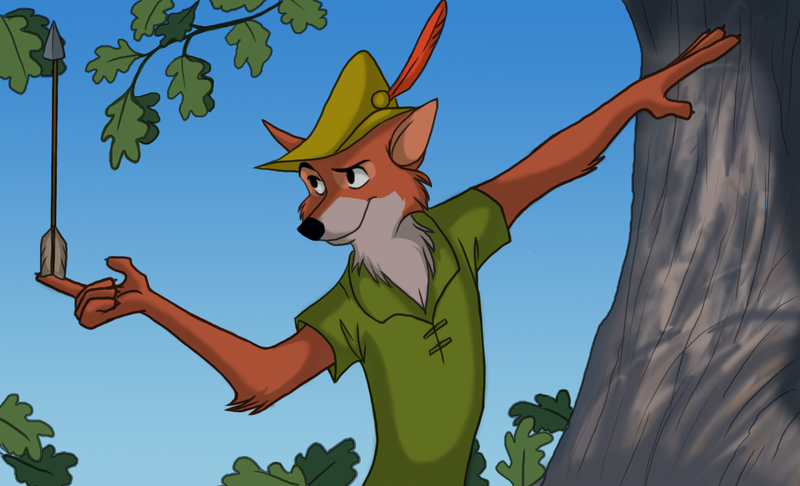 This is possibly one of the smoothest, suavest adaptations of Robin Hood ever. He’s a fox. He’s a literal fox. 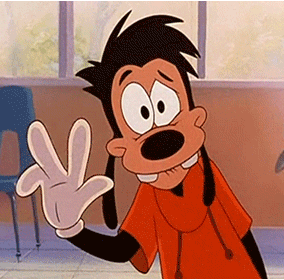 GOSH Max Goof. I think he’s supposed to be a sort of human-dog-creature? Whatever. If he were fully human, he would be such a keeper. I’m trying to ignore how completely creepy I sound while writing these. DO NOT JUDGE ME. I’m pretty confident that I would have a crush on any character voiced by Jason Marsden (ignoring Chester from Fairly Odd Parents; note: Chase Young, Tino Tonitini, Max Goof, etc.). Voice crushes are weird, you guys. 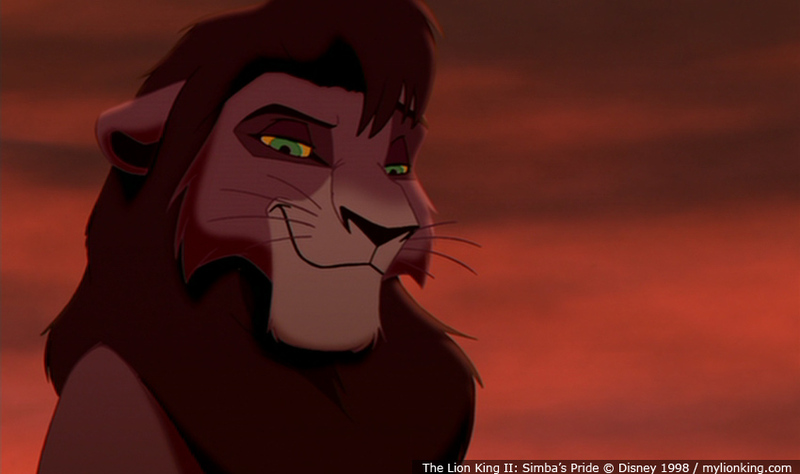 With or without a love of Jason Marsden, it seems to be a law that people are attracted to Kovu. I don’t know how they could make an animated lion so appealing to so many people, but well done, Disney. You’ve accomplished a very strange thing. Tags: 101 dalmations, a goofy movie, animals that would be hot, animated animals, animated characters, animated movies, buzzfeed, college simba, disney, disney movies, disney's robin hood, jason marsden, kovu, max goof, pongo, robin hood, simba, simba's pride, the fox and the hound, the lion king, the lion king 2, the rescuers down under, tod | Permalink. As I went through some of my old cover letters and various writing samples for previous applications, I came across an extensive cover-letter-sort-of-essay-thing that I wrote for a job application a while ago. I thought it was a pretty good representation of who I am, so I thought I would share it. It can be found up top (Who I Am (not an essay), or by going to this handy dandy link. WARNING: This is a surprisingly violent Christmas episode. 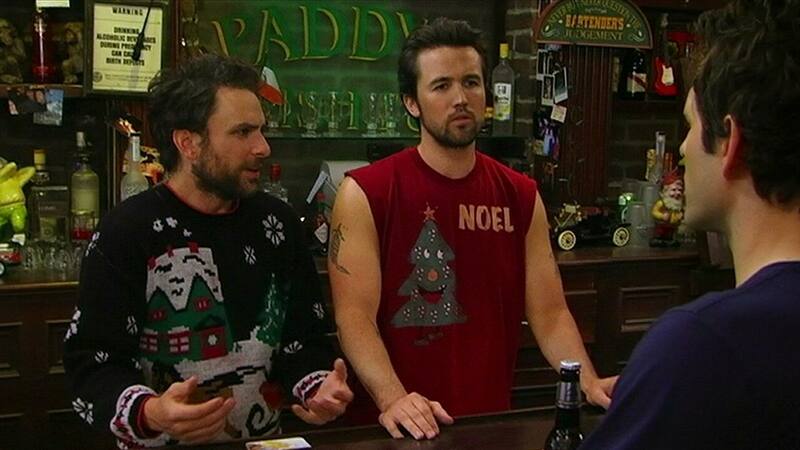 Not really surprising if you are used to watching It’s Always Sunny, but if this is your first time… don’t watch this episode. Very violent, very full of language. However, really, really funny. If you can get past all the negative aspects, this is a brilliant episode. Raise your hand if you knew the final episode would be a Community episode. 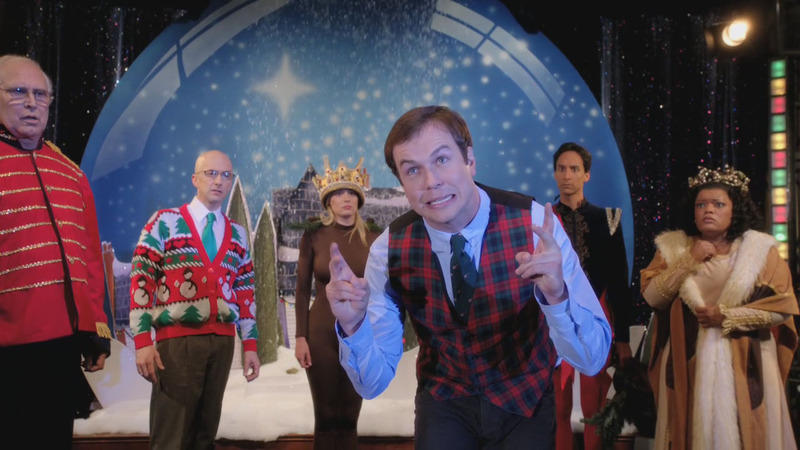 Community always has incredible Christmas episodes, but this one is my favorite. They completely nail the whole Glee theme and Taran Killam does an incredible job. IT’S STOP MOTION ANIMATED. BUT ALSO, IT’S NOT? Tags: 12 days of christmas, 12 days of sitcoms, a very sunny christmas, abed's uncontrollable christmas, christmas episodes, christmas specials, community, its always sunny, its always sunny in philadelphia, joel mchale, regional holiday music, sitcoms, taran killam | Permalink. 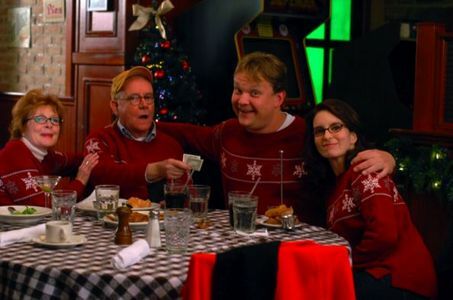 All the 30 Rock Christmas episodes are on the same level, so you really can’t lose no matter which one you pick. Ludachristmas is the first, and the most talked about. It’s a fun jump back to 1985. Merry Jewish. Whenever Nick Offerman and Megan Mullally get to act together, it’s so fun to watch, especially on Parks and Rec. Amy Poehler’s enthusiasm for Christmas, Ron’s enthusiasm for woodcraft and April’s enthusiasm for being mean to Jerry make this episode solid. 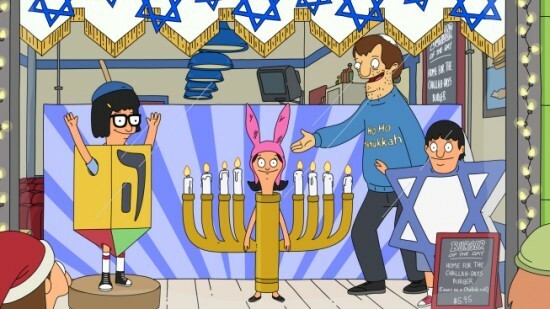 Every Bob’s Burger’s Christmas episode is fantastic. I can say that, because I just watched all of them. 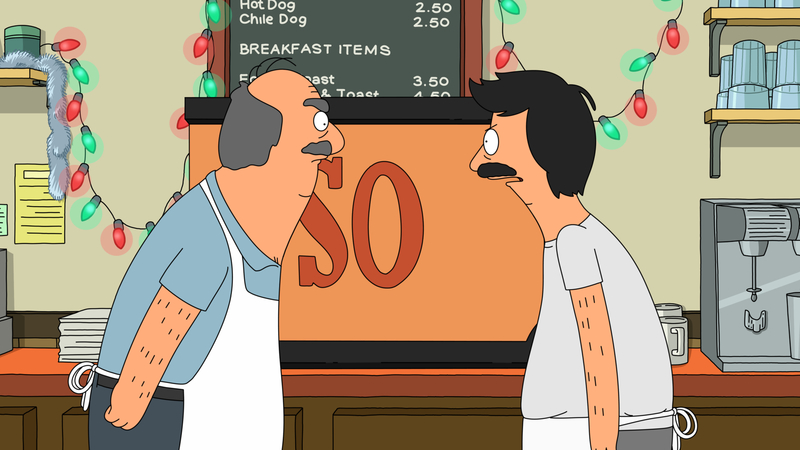 I can’t pinpoint what it is about Father of the Bob that stands out more than the other episodes. I guess maybe Gene’s bean bath. So quality. So confusing. So creepy. So Christmas. Tags: 12 days of christmas, 12 days of sitcoms, 30 rock, bobs burgers, christmas, christmas episodes, christmas specials, father of the bob, ludachristmas, nbc, parks and rec, parks and recreation, sitcoms | Permalink.